Can I Be Charged as an Adult for an Underage DUI in CO? > Blogs > DUI > DUI Defense > Can I Be Charged as an Adult for an Underage DUI in Colorado? Can I Be Charged as an Adult for an Underage DUI in Colorado? Yes, in certain situations, underage drivers can face the same charges – and the same potential penalties – as adults do following a drunk driving arrest. In fact, drivers in Colorado who are younger than 21 (and who are suspected of impaired driving) are generally charged as adults if their blood alcohol content measures above 0.05. 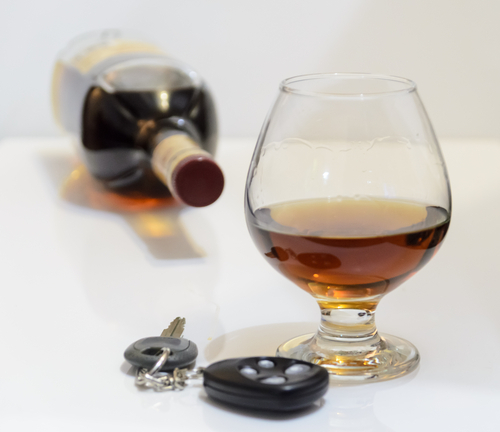 For first-time DUIs in Colorado that don’t involve any aggravating circumstances (like crashes, bodily injuries or death), these DUI charges are misdemeanors. Zero tolerance laws – Colorado has Zero Tolerance laws when it comes to underage motorists driving while drunk. In other words, this means that it’s technically illegal for any underage driver to have traces of alcohol in his or her bloodstream. For measurement purposes, the law specifically states that underage drivers with BACs of 0.02+ can be charged with driving while ability impaired (DWAI). BAC test refusals – Any motorist, underage or not, who refuses to submit to chemical testing during a traffic stop will be violating Colorado’s implied consent law, triggering the automatic penalty of a driver’s license suspension. The term of this suspension will depend on whether the driver has refused BAC testing in the past, with a minimum of a one-year suspension taking effect for first-time refusals. Future expungements – Unlike adults who are convicted of a DUI in Colorado, underage drivers convicted of drunk driving may be able to have their records sealed or expunged later, when they are of-age. In certain cases, such record sealing may be worked into plea deals or may be part of terms granted upon the successful completion of court orders/probation. Subsequent DUI charges – If underage drivers successfully seal past DUI conviction records and they end up getting arrested for another DUI offense later, the prior case can be counted as a first DUI, meaning that enhanced penalties can come into play. If you have been charged with any type of DUI offense in Colorado, you can turn to the seasoned Denver DUI lawyer at Griffin Law Firm for aggressive legal advocacy and experienced help defending your rights. With nearly two decades of experience in the criminal justice system, our attorney understands the complexities of the system, the challenges different defendants can face and the best ways of overcoming these challenges to bring DUI cases, as well as other criminal cases, to successful resolutions. To receive a complete evaluation of your case, along with professional advice regarding your best options for proceeding, contact us by calling (303) 280-1070 or by emailing us using the contact form at the top of this page.